First Mega Box Passage...And 4 More. First Mega Box Passage…And 4 More. 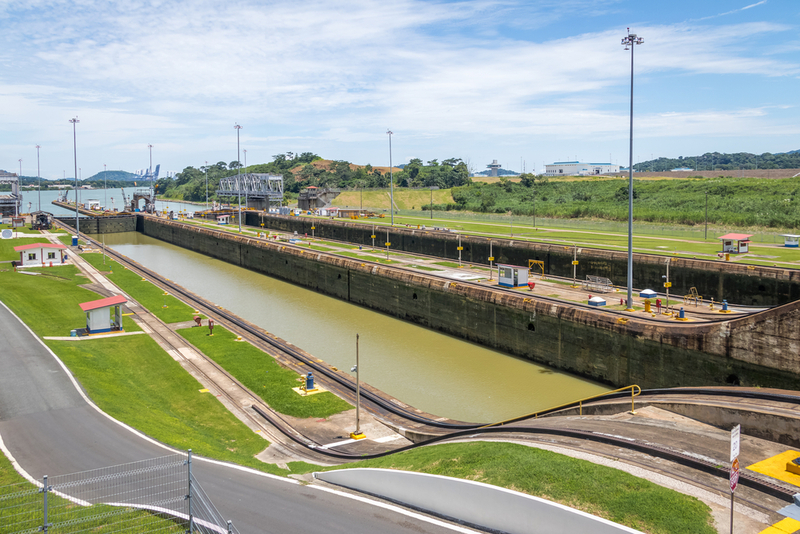 The 14,855 teu capacity “CMA CGM Theodore Roosevelt” became the first ever ultra large container vessel (ULCV) to transit the Panama Canal yesterday in another example of how the expanded waterway is reshaping global trade. ULCVs are classed as boxships with more than 14,000 teu capacity. The previous record-sized boxship to transit the canal was the 13,926 teu OOCL France, a ship that in modern shipping parlance is now termed as a neopanamax. Over the last five years, 12 to 19 crew abandonment incidents were reported annually and 1,013 seafarers were involved in total, the ILO. Furthermore, figures from this year, as of July 31, show that 28 abandonment cases were reported, involving 339 seafarers. Of those 1,352 seafarers, 254 seafarers were from Ukraine, followed by India with 203 and the Philippines with 105 seafarers, rendering these nationalities among the most vulnerable. Ports and terminals need to consider potential legal liabilities for delays and cargo damage caused by cyber attacks or problems. Toby Stephens of HFW, says spoilage to reefer cargo is a prime example. “Reefer is time-sensitive, so if your system is down and you can’t find the boxes or there has been a corruption of data affecting the maintenance of those containers, there is potential liability exposure. A Moroccan merchant navy officer, Ahmed Janane, who had been Kidnapped last July 31 by Nigerian pirates in the Gulf of Guinea after an attack of the ship “OYA 1”, flying Panamanian flag, has been freed. According to members of Ahmed’s family he is expected back home in a few days, reported daily Assabah on Tuesday. India has decided enough is enough, and is moving to ensure that only legitimate recruiters can place seafarers. The move comes after recent reports of around 100 Indian seafarers stranded in the UAE without proper contracts. The Indian government now requires that seafarer recruitment on foreign ships to occur through their e-Migrate online recruitment portal. Recruiters must be approved by the Directorate General of Shipping and their details recorded on the system which will be linked to the Bureau of Immigration, enabling Indian immigration authorities to stop seafarers not recruited through the system from leaving.